LOVE this motherboard. I was white knuckling waiting for everything to arrive to do my ryzen build. I got lucky and snagged this board and got it 3/10 right at release. I planned to do an ASUS 370x Prime since I've always ran ASUS mobos before. But on 3/7 release there was no motherboard in stock and then suddenly this one came up as in stock at time of release. 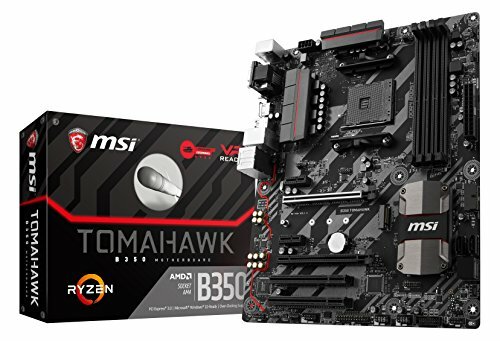 I read through the B350 vs X370 specs and realized I wasn't really missing much functionality I'd ever use by going with a B350 board. 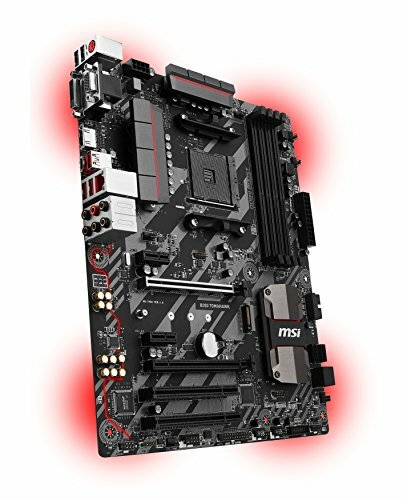 I pulled the trigger and bought my first MSi board ever. I was especially white knuckling due to reading all about the initial BIOS ryzen issues and such. I pre-loaded my windows install along with MSi's day 1 bios update to a usb drive. I flashed it on first boot and restarted and installed windows and started using it. No issues whatsoever. The BIOS itself is great - easy to navigate and use. I'm in love with my decision to try an M2 SSD with this board - speed is a great improvement over traditional SSD speeds. All in all - this board is great and has done me no wrong. Its aesthetics aren't over the top but it has a certain sleekness to it that I think it's visually great. 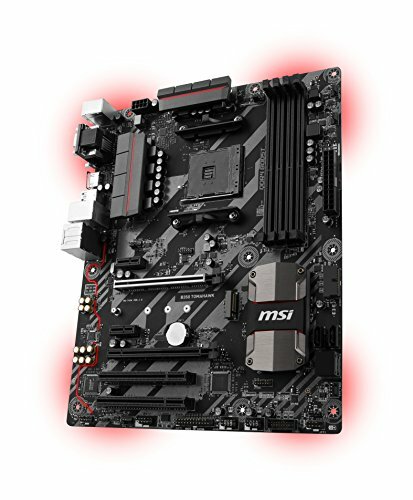 Would recommend this to anyone looking to do an average enthusiast Ryzen build. Great motherboard, lots of future proofing. It's got everything from crossfire support to an m.2 slot. It definitely pairs well with a Ryzen 5. However, the BIOS is kinda crap, at least without updating it, which the new BIOS fixes pretty much all the problems. Otherwise I'd give it 5 stars. Overall a pretty great board. I had some issues at the beginning (mostly because I am a newb). I had to really learn how to use and understand the BIOS. I will say this, MSI has top-notch costumer support. All the issues I had with the MOBO, I just called them up and spoke with a tech straight away to clear up my issue. I feel like this board is underpriced at $100. 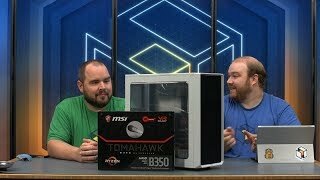 I had been looking at X370 options in the $150 - $180 range but this had what I needed. Vcore has been very stable at overclocks up to 1.35v, but I can't speak to voltages higher than that. The only thing that is kind of a crock about this board is that 2 of the 6 expansion slots are PCI, not PCIe. I added a 6 header USB 2.0 card just to make some use of this, but there's not too much else you can put in PCI these days. It basically makes this a mATX board masquerading as ATX. I feel slightly limited with the PCIex4 slot that becomes x1 if populate either of the two native x1 slots, but that was a known PCIe lane limitation of the chipset going in. I'm sure the PCI slots are also the product of that limitation. Otherwise I actually kinda like the red LEDs, and the heatsink for the power phases is also pretty solid, even if they are just 4+2. And someday I'll put an M.2 drive into that slot, so that's nice to have. Lastly, fan headers galore that can speed control via PWM or DC, which was heaven sent with my mixed bag of 4 pin and 3 pin fans. All in all a great board for $100. Got this for $110.00 Canadian. Good budget board. Awesome look fits with my Black and Red style, no problems fitting into my case. Got it on special for AUD158. Wasn't originally going to go with MSI but really happy about this purchase (got a free gaming mouse too lol). BIOS out of the box was PAINFULLY slow during boot (currently July 2017, BIOS was from March 2017). Updated the BIOS and the startup was lightning fast and supported way more DDR4 options so definitely update it before anything. 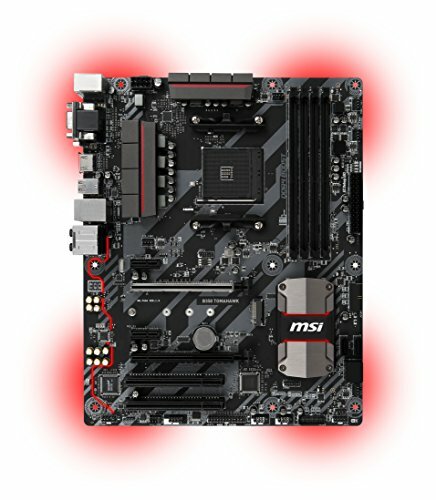 I really liked the MSI BIOS and found it really intuitive and useful compared to some other programs. Board also has more than enough room for what this build needed and then some. Would go with MSI again!